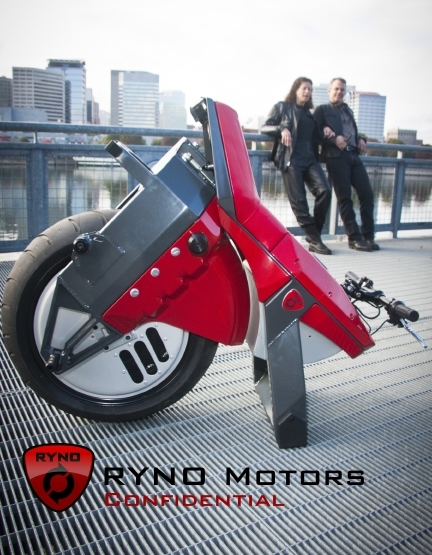 The latest version of the bike, “Ryno”, is able to go as far as 30miles with a maximum speed of 25mph, and even climb slopes. Weighing only 57kg, 90 minutes is all you need to fully charge it up. “Regulated in the city at 12.5 miles per hour just like any other mobility scooter, it packs more features and more fun into its small size than any other product on the market. For off-road use it can be opened up to 25 MPH. 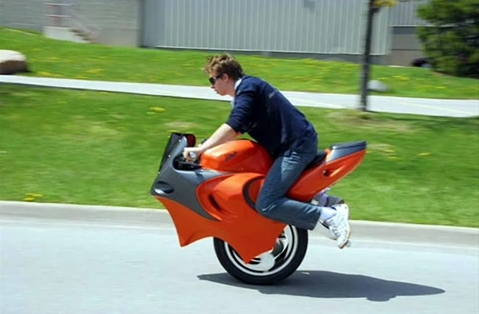 May 19th, 2008 Canadian Inventor Ben Gulak of BPG-Technologies developed a wild new green motorcycle that uses gyro technology to stay upright on its two side-by-side wheels. Acceleration is controlled by leaning forward to go faster, and leaning back to slow down. The gyro tells the ECU how much to accelerate and that in turn delivers the proper amount of current to the electric motors, one for each wheel. 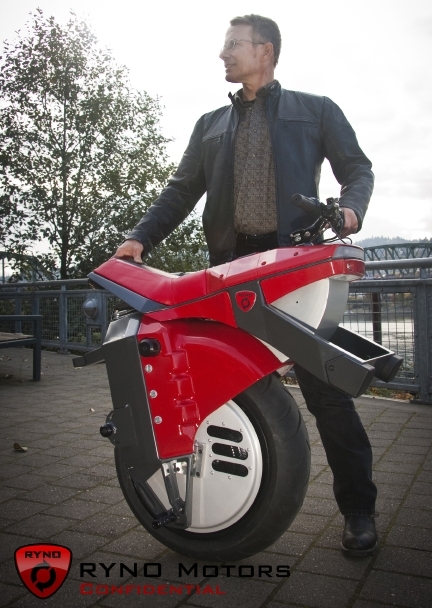 Weighing in at a mere 129 pounds, the ‘bike’ has a top speed of 25mph and a battery life of 2 1/2 hours. The bike was recently unveiled for the first time at the 2008 National Motorcycle Show in Toronto YouTube vid.